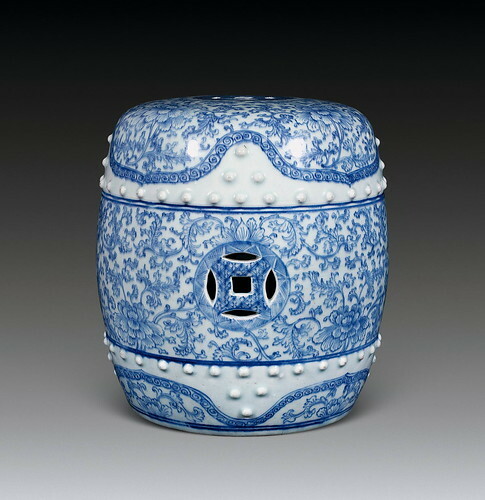 Blue and white porcelain is contrived using the color blue, usually from cobalt oxide, to create designs on shaped clean, white clay that is then covered in a layer of transparent glaze and baked in a kiln at high temperatures. 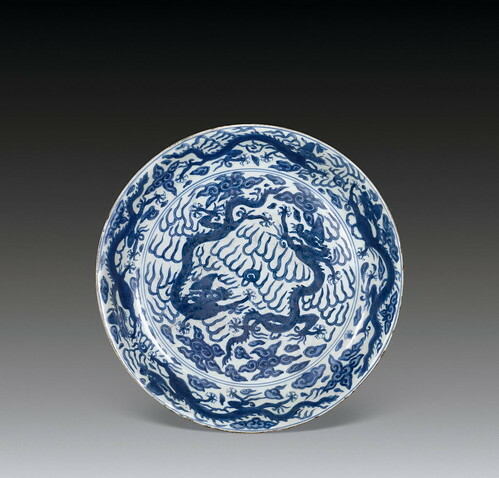 Traces of blue and white wares are found beginning in the Tang dynasty (618-907) but it was not until the Yuan dynasty (1271-1368) that the art reached perfection. 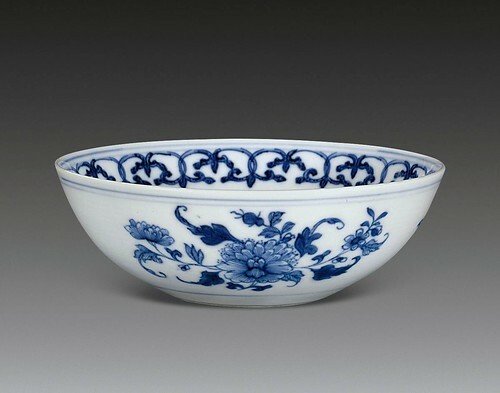 In the early 14th century, mass-production of fine, transparent, blue and white porcelain started at Jingdezhen (景德鎮), sometimes called the “porcelain capital (瓷都)” of China. 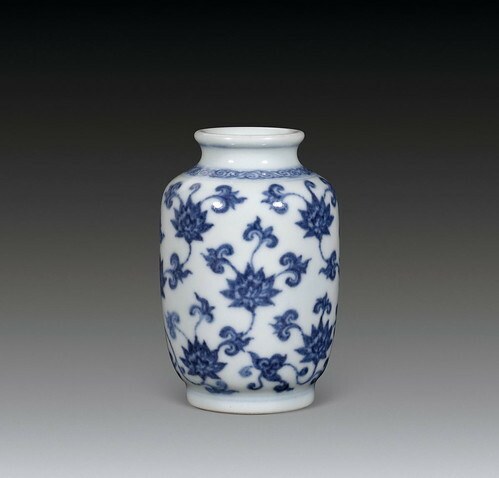 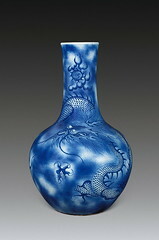 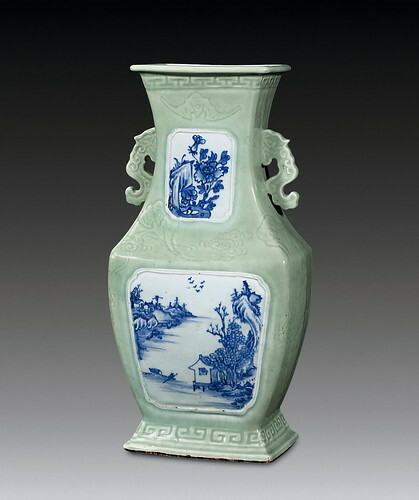 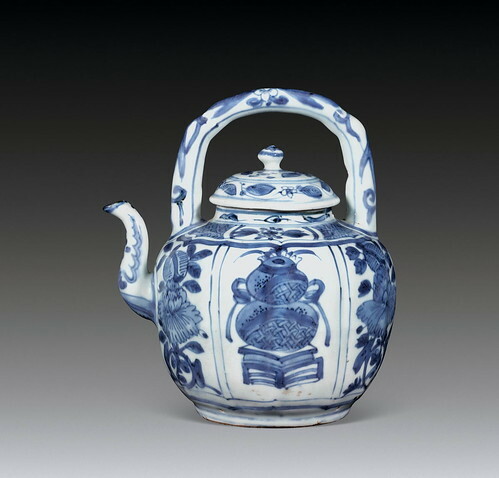 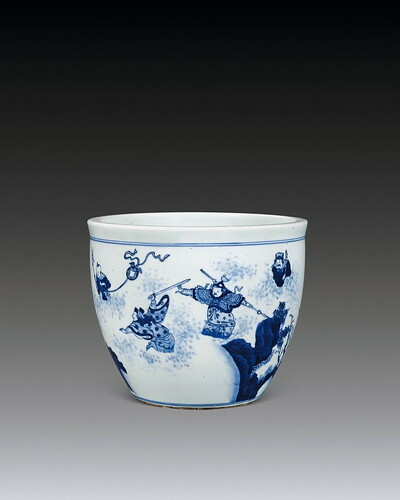 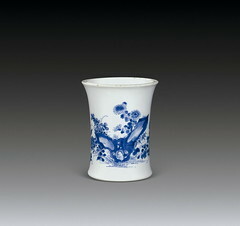 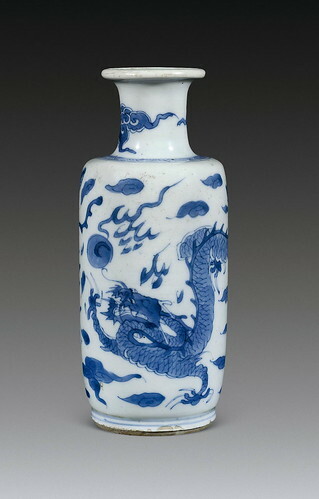 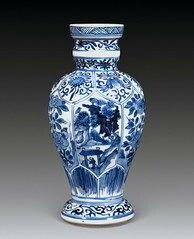 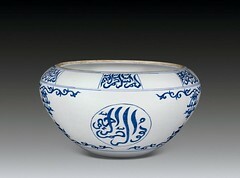 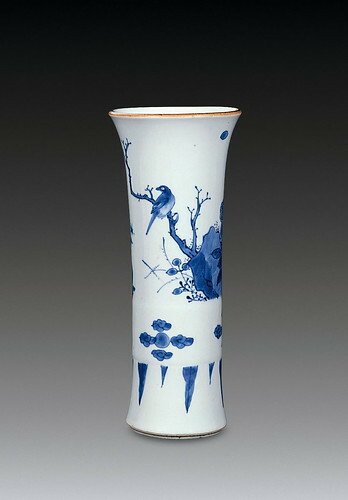 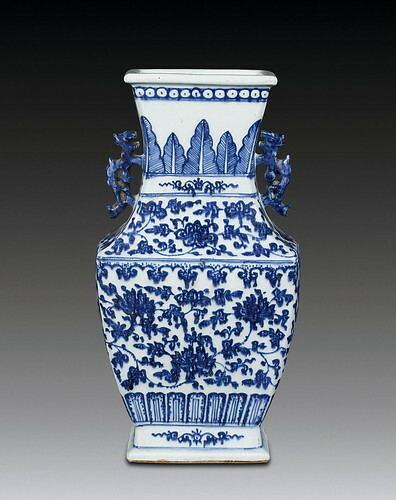 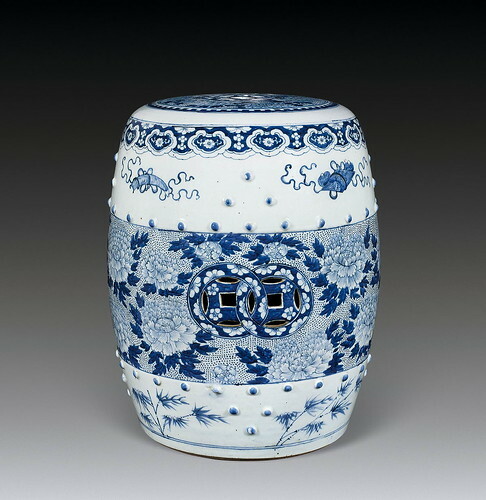 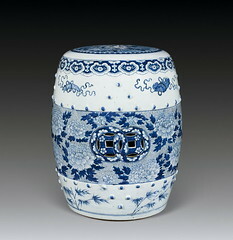 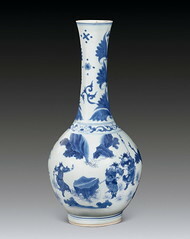 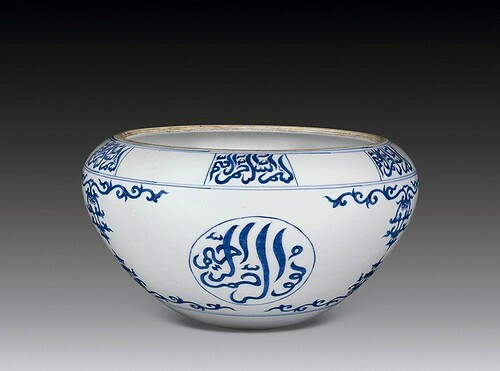 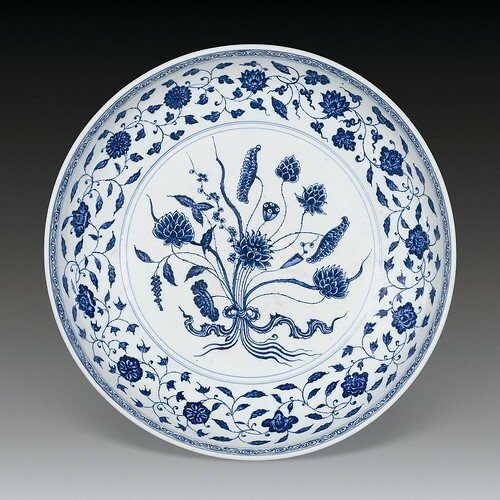 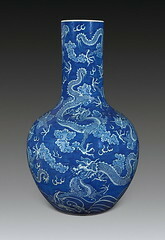 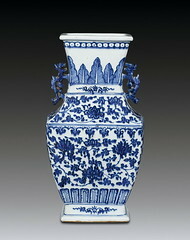 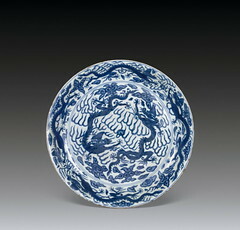 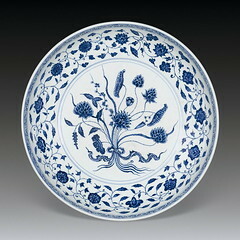 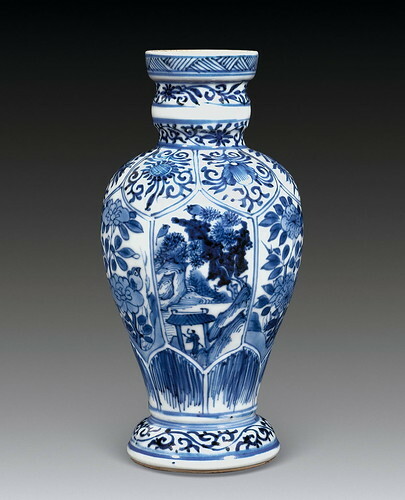 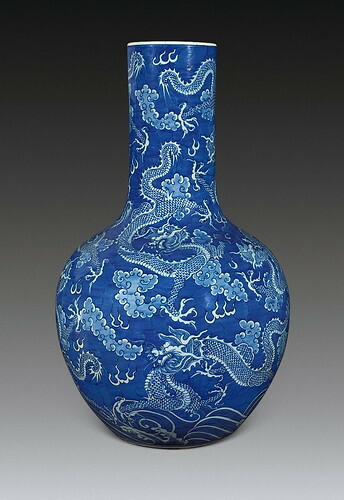 During the Ming (1368-1644) and Qing (1644-1911) dynasties, the blue and white ware industry became increasingly important because at this time, blue and white porcelain was not only known within the borders of China, it was also welcomed in the international trade market, initiating its imitation throughout Asia. 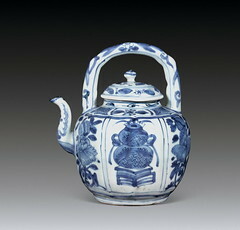 In current times, blue and white wares are common in daily life in forms ranging from dinner sets to vases.